KODAK Canvas, Satin / 18 mil / Solvent is the newest generation of solvent canvas. 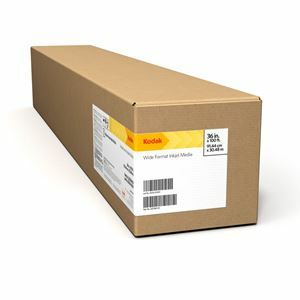 This canvas offers a wide color gamut on an acid-free base, producing high-quality photo quality images that print shops, fine art reproduction companies and other imaging professionals have come to expect with the Kodak brand. The 65% polyester/35% cotton base with a 2-over-1 weave makes stretching and finishing simple.